If your after ETTL or Remote Manual radio triggers on a budget Pixel have a great option with the King ETTL Triggers . Pixel TTL triggers have come a long over the last few years and the Kings do work very well now. At this point they are the best bang for buck radio ETTL available, and they’re pretty much the cheapest ETTL triggers available. Offcourse with that low price you have to expect some limitations and compromise in quality and service levels compared to the higher priced options. If you are after something at the cheaper end though the Kings are definitely still worth considering. I should mention that I know them pretty well because I’ve been involved in a lot of beta testing and development, starting from the very first versions of the earlier Pixel Knights ETTL triggers a number of years ago now. The Kings allow you to fire one or more flashes off camera, with full ETTL or Remote Manual power level control directly from the camera, without any cords or line of sight required. And Remote Manual Power setting can save a lot of time running back and forth, climbing up and down lightstands and inside softboxes etc to change the power directly on the flash units. With the Kings it can be done quickly and easily straight from the camera flash control menu. The catch here is you need MK II Canon EX Flashes, and camera bodies with a flash control menu to do remote manual power setting (YN-565ex also works). With older flashes and bodies the Kings are mainly just for ETTL use. FEC – Flash Exposure Compensation – set from the camera. Hypersync – high speed sync up to 1/8000th with manual flashes & studio lights. Comes with a great soft case! The functions available with the Kings depend on camera and flash models used, and they are basically split into Type A & B Cameras (and Mark I & II style flashes). ETTL – Global FEC control is available from the camera, No ratios control. 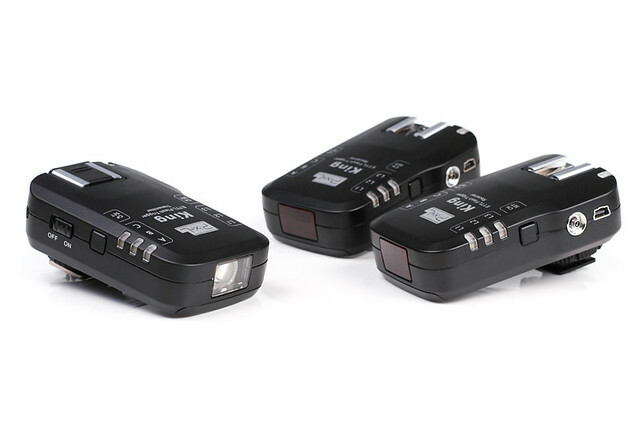 Flashes that will support remote flash control through the camera menu. Manual – Full Remote Manual Power Control in 3 groups from the camera menu. ETTL – Full ETTL and FEC in 3 groups from the camera menu, No ratio control, FEC can not be set directly on the flash. Flashes that do not support remote flash control through the camera menu. Manual – You must set the manual power level directly on the flash. ETTL – Global FEC control is available from the camera. No ratio control, FEC can not be set directly on the flash. Communication is very good with the Kings now, they’re fast and really don’t feel all that much different to using manual triggers. In the early days you could almost see just how much communication was constantly going back and forth and feel a slight delay in being able to fire the camera shutter. That’s all gone these days and the Kings are fairly seamless now. Range is great (around 60metres) and there are no misfires or random fires. They do still have their moments when they will stop communicating. This is easy to see though as the light on the transmitter stops responding, and all you do is switch the camera off and back on quickly to reset them ,and away you go again. That doesn’t happen very often now so it’s really very little concern, but it does still happen. They do still use more batteries than manual triggers, but again it looks like they have made improvements there too. The main thing is they use common AA’s anyway, so batteries like Eneloop rechargeable are ideal. Pixel products have always tended to be fairly light duty. I’ve always considered them “handle with care” quality. If you’re reasonably careful with them they tend to hold up ok but I don’t expect they will last forever. At the price though you can afford to replace a failed unit down the track if needed. It’s not uncommon to see the metal ETTL feet attached to the case on a slight angle either, this has been common with many Pixel products. Otherwise they generally have a nice look to the finish. This still catches a lot of buyers out. The hotshoe on the transmitter has been completely disabled so no flash will fire on that hotshoe now at all. Although its a shame to loose that feature, I think this was actually a good decision by Pixel as we already had concerns with the beta models. A flash mounted on the transmitter was causing stress on the case and communication issues with the camera. Now there is no stress put on the TX case at all so its likely to be reliable and last a lot longer as they are now. Pixel also mention a possible N-ETTL zone controller type device in the manual which would mount on the Tx hotshoe, but there has been no more information on that as yet. This is Pixels first attempt at an Auto Focus Assist Light. I’ve been harassing them to make one for years, so although I really appreciate the efforts, unfortunately this one is not quite there yet. The image shows the first production version which was a clear lense. That has since been updated to a red lense, with much more powerfull LED light. But it still does not project any contrast pattern to help the camera focus system lock onto. EDIT – now updated with a pattern projection. There is also no on/off switch for the AF light. A small piece of gaffer tape will fix that easily, its just that you’re wasting battery power then still for no reason. I’m sure we will see improved versions in the future, but props to Pixel for atleast getting started. This is something even PocketWizard have continually overlooked, and now even Canon with the new St-E3 which is disappointing. This is a welcome addition as Pixel’s locking rings have been ridiculously small on all of their products. This ring is much better but it could well be bigger still. The other interesting thing here is the Rx locking pin which is a great addition, possibly a first for receivers? The Tx locking ring has currently still not been updated though, and that’s an issue because with the shape of the King/Bishop case I’ve found they are already the most difficult trigger to get on and off the camera. The tiny locking ring only compounds that issue. EDIT – Updated to the ring above, which is still smaller than ideal. This is a really important feature for anyone using a light meter. Pixel have added a test fire button using the original channel and group button pressed at the same time (same as the Pixel Bishop’s). I have suggested a number of times they use just the one Channel button as the test fire button, but I doubt they will change that again now. Pressing 2 buttons at once is not that bad, it would have been more convenient with one though. To set the Groups or Channels on the triggers directly the Kings still use one button to scroll through all the options. This is now quicker as you don’t have to hold for 2 seconds before starting to change settings, just tap the button a second time and change. The single button / scroll has hopefully seen its last days though as Pixel’s latest manual trigger (the Opas) now have a button for each group! This is no small feat, one of very few radio triggers which allow second curtain sync off camera with Canon. This requires a camera body with a flash control menu to select the rear curtain option. There is no adjustment for Hypersync timing though (like PocketWizards) so different monolights and camera bodies will achieve different results. You will have to try with your gear and accept what you get there, though there are user reports of good results with a number of common monolights. The Kings are now compatible with Pixels latest manual triggers the Opas transceivers. This is very significant as it shows Pixel have started considering cross and backward compatibility. Its yet to be seen if Pixel will continue this compatibility to new models. The Kings TX will fire the Opas with corresponding groups and channels. But not only that, I discovered Hypersync HSS will still work using a manual Opas receiver with a King as Tx. The manual triggers work well in combination with the ETTL flashes, without any negative effect on the TTL metering. One bug I have found though is they King will not test fire the Opas. I’m not sure if Pixel has updated this. Knights – The current Kings appear not be compatible at all now with the previous Knight ETTL triggers. That is a bit unfortunate, but the Knights won’t work with the Canon flash control menu, so you would likely be switching to all new Kings anyway. The King manual mentions an optional USB cord for shutter release, I have the cord but so far the shutter release is not working. I’m not sure if Pixel has updated this at any point. One thing I found, if your using Canon speedlights, even if they are set to manual they do still put out a pre-flash. So if your trying to fire extra flashes or your studio strobes via optic slave they will not fire in sync! I was able to use the S2 slave mode on YN-560’s flashes to overcome this pre flash. 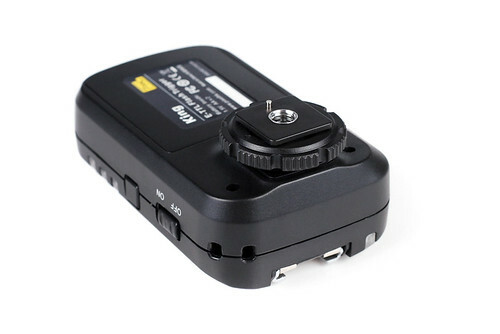 The only other option is to connect the Canon flashes via a sync cord to the Rx and not directly to the hotshoe (so you would loose remote power control). There have been some reports of issues with the updating software not working properly, though persistence usually pays off. A:B C ETTL ratios are now supported just as the Canon optic wireless system provides. CliveyBoy (on POTN) aka SeedyBee2008 (on Strobist) deserves a huge amount of credit as the un-official, un-paid and mostly un-thanked resource for the Pixel Kings. Pixel HK have released a major “3rd generation” firmware update V1030 for the Canon version Pixel King radio triggers, which now brings ETTL Ratios, as well as support for the Canon 1DX in a separate V1031. The new firmware versions, as well as previous ones can be downloaded from the Pixel HK website HERE. Modify the camera setup for flash power ratio output. Modify the compatibility of camera, such as60D, 5D Mark III. Modify the test flash output mode, such as flash under E-TTL mode, pre-flash ratio output. Under M mode, the output ratio is according to the flash setting. The Kings are selling for less than $140 a set on Ebay and Amazon etc, so if your after budget ETTL, or Remote Manual power (and you have the EX II flashes for that), they are a bargain, there is no competition at that price. Feature wise the main thing holding them back from being more of an alternative to PocketWizard, Radiopopper and the new Phottix Odin is the lack of ETTL ratios (EDIT- Ratios Now Added as of firmware v1030/v1013) . But that is not something everyone is needing anyway. Build quality and support could be better, but what the Kings do they do well considering the price tag . At the price they are at the very least a great alternative to a long ETTL cord. The Kings are available on eBay, but for low prices Amazon is often considered a good option as they have an excellent return policy should there be an issue, avoiding the time and expense of returning to China. Pixel King for Canon not working. I just got my set today and the Transmitter Indicator light just continually flashes red fast and the Focus Assist light stays on. It will not fire the flash (whether attached to my camera or not). Have replaced the batteries with brand new ones and it makes no difference. Hi there, unfortunately it sounds like you have some defective units there. If new alkaline batteries made no difference there is not much more you can do. I had a set of Bishops (manual version of the Kings) which constantly flashed red like this and would not fire, and the only thing I could was exchange them. Why my King trans doesn’t work with Opas reciever? In general they should work, however there has been an issue when using the Canon 5DII that the Kings would not fire the Opas. I’m not sure if this has been resolved as yet. A battery level indicator is always a good thing. Having issue on the test fire, the test buttons works (channel + group) but after taking a single shot the test fire will not work and you have to on-off the RX before it will work again. Any trick to fix the on/off solution? Hi There, its normal for the receiver to go into a type of standby mode, but it should respond and be ready to fire as soon as you half press the shutter or change settings etc. So no it can’t be switched off but when working properly it shouldn’t be any issue. The problem you describe was an issue with some of the early test units so it may well be worth trying to update the firmware (again if you haven’t already). Also make really sure the flash and Tx foot are seated right forward into the camera and receiver shoes. If that doesn’t work you may have to exchange them. I found it is also normal for the Kings to loose communication at some times (not very often though) and when this happens switching the camera on and off (which you can do very quickly) resets them and you can carry on as normal again. That’s a different issue to the standby problem though. I downloaded the firmware and executed the update. But it seemed to be that I already used the latest firmware. I tried to switch the camera off and on after the reciever was in “standby” mode. But nothing happened. I had to switch off and on the recieve to get it to work again. This mode appears after approximately two minutes. A series of faint blue flashes on the indicator can be seen when it is in ready state. Just before it shuts down a couple of red flashes can be seen. And then the communication is gone. Not very convenient when the flash is meters away. Is there a solution for this? Hi there, I’ve tried to get some answers on this from Pixel without luck so far. I have recently purchased Pixel King ttl trigger and receiver system for Nikon. Tried it with Nikon Sb900 and Nikon Sb910 speedlights using Nikon D700 and it gives balanced exposure through ttl metering mode. 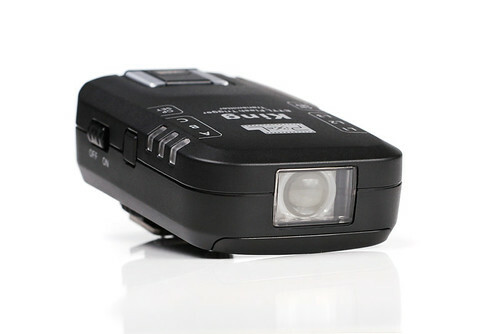 The problem occurs when it is used with a third party ttl flash; Yongnuo 565EX. It doesn’t give balance exposure and gives an under exposed image. Is there a firmware update for King to be used with that flash? Yongnuo 565EX is a fully ttl compatible Nikon speedlight. I can’t say for sure with the Nikon version, but with Canon the YN-565ex generally is compatible. Though we have had about 5 similar reports of it not working with Canon, many others have found it works fine. Best to check with Pixel, they are not allways the most up to date with things like this, but if they are saying it should work ok you would have to start narrowing down whether its your particular 565 that is the issue or not. Thanks for the reply. I have emailed Pixel but haven’t heard from them so far. We have also tried King with Nissin DI-622 and it works. The only problem with Nissin it gives is a slight over exposed image about a stop or half. Regarding the hot shoe on the trigger not passing the info onto the mounted flash, I have checked it and the information is being passed through. Perhaps the tested units which didn’t pass through ttl data through were beta units……. Thanks again, Pixel may not have that much feedback on the YN-565 with the Nikon version as yet. The hotshoe on top of the transmitter on the Canon version of the Kings is definitely disabled, it was actually working on some of the Beta version but disabled before production. I didn’t know the Nikon version was funtional, again thanks for that. I have a canon 580ex ii and will buy a monolight strobe in the near future. I would like to use ETTL with off-camera flash and I know KING can do this. If I choose to use Manual flash, can I use KING to connect both 580ex II flash AND the monolight unit at the same time, assuming I have 2 receivers. Does KING have the sync connector or do I need to buy a different receiver or different brand to have ETTL for compatible flash and manual for flash and monolight strobe? Thanks, yes the King receiver has a Pc sync connection for monolights and a sync cord is provided. You can use ETTL and manual strobes at the same time. Pixel have quoted the safe trigger voltage as 60volts though, so you would need to check that the monolight is below that. You may want to look at the YN-622C – as they are a later and more refined version of the Kings. They also have a higher 300volt safe trigger voltage at the PC sync port. Pixel will also have the King MKII early 2013 (which will be compatible with the current Kings). Great! Thanks so much for the information. Happy Holidays. I have just purchased Kings. One issue I am having is getting the camera and flash to work at slower shutter speeds using 1st curtain. I have a Canon 550D and 430ex and 430ex II flash. Hi Mike, that’s not an issue I have heard of before. Are you meaning very slow shutter speeds like a full second or similar?, and are you saying it works better in second curtain in the same situation? Is this in Manual or ETTL and do you mean by working its just not firing? In general the first thing if you’re having any issues is to make sure you have new Alkaline batteries (Energizer of Duracell) in the transmitter and receiver (not rechargeable’s). Then clean all the contacts on the shoe and feet of camera triggers and flash, and then be very careful they are all seated properly all the way in the shoes. It sounds simple but that is quite often all the problem is. Turning the camera on and off generally resets the Kings, but if that doesn’t work you can try turning everything off and start them all again. Just an update: Kings now have full ETTL ratio control with firmware v1030/v1031. So review could be updated to include this. Thanks for that, sorry I posted the udpate here – http://flashhavoc.com/pixel-king-firmware-v1030-v1031/ and didn’t get back to updating the original review. Thanks. I’m just wondering will the Pixel King Transmitter be able to trigger a YN-622c transceiver?? I’ve bought a Pixel King set (a transmitter and a receiver) recently and now I want to trigger another flash. Since a single YN-622c transceiver is much cheaper than a singel Pixel King receiver and I’m a little disappointed with the Pixel king due to lack of several features which the YN-622c has (pass thru etc.). Thanks. Thank you so much. I have another question. Is it possible to mount the YN-622C first on the camera hotshoe and then thePixel king transmitter on the hotshoe of the YN-622C and in this way you are still able to adjust the setting on both flashes (one with YN-622C and one with Pixel king receiver attached) through the camera??? Sorry again, but no unfortunately you can’t stack 2 TTL capable transmitters on top of each other. The trigger fools the camera into thinking its just a Canon speedlite on the hotshoe, so there’s no way you can have two of them interacting with the camera at once. A manual trigger and a TTL transmitter stacked on top of each other either way around can work though. Again thanks a lot 🙂 I guess I’ll have to buy another pixel king receiver. my king receiver can’t switch on after update the firmware. it say data compare error, i try it once again and it say write failed. And now my receiver totaly death, and no firmware version show in pixel app. That doesn’t sound good unfortunately. All I can suggest is to keep trying it a few times, possibly on a different computer as well if possible. I had a Pixel King Pro unit recently which would not accept the firmware update. It was just the one unit having the issue. I just kept trying, otherwise it was going to have to go back, and eventually after probably the 7th or 8th time I was surprised that it did actually come good. I wouldn’t spend too much time, but its worth a few tries. Otherwise I don’t think there is much you can do other than send it back unfortunately. Thanks. One of my king receiver have the same problem… i tried view time, and the receiver accept the new firmware… now my other king receiver dont come any good after i tried several times. Ok maybe i will try on another computer. I have had a set of YN-622C transceivers for a while, but have been experiencing intermittency in actual use. After months of troubleshooting I’ve decided to try a set of Pixel Kings (I may add a King Pro transmitter if this works out) as a set of alternate triggers. My question: the Kings seems to work just fine so far – I haven’t tried them in anger yet but studio tests have been very positive. But one thing disturbs me: when in Manual mode, using 2 remotes, the Kings seem to set individual flash values OK; that is, the individual flashes change brightness corresponding to the ratios I chose when I change the individual values on the flashes through the Canon menus. BUT the flash units (2 YN-565EX) both indicate the same output on their LCD displays (1/32, 1/64, whatever). That is, they appear to change brightness, but not the displayed settings. Is this a known issue? It appears that the YN-622 units force the flashes to update their displays when the system re-maps but the Kings do not? Sorry I don’t know if that is a know issue, but the YongNuo flashes are not ideal with the Pixel TTL triggers. Even the Pixel website mentions there may be some erratic behavior with the YongNuo flashes. So unfortunately even if you get this sorted out, mixing Pixel TTL triggers and YN flashes is not going to be more reliable overall than YN-622C and YN flashes. If you want to step up in reliability over the YN-622C, the Phottix Odin is likely the best way to go. Or Canon’s own 600EX-RT system. Otherwise if this is just for remote manual power control (and possibly HSS) a much less expensive and much more reliable alternative are the Godox V850 flash units with their own FT-16 transmitter. 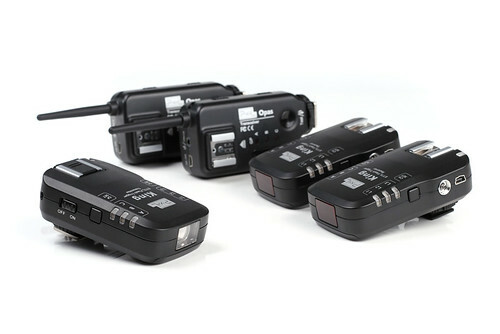 You can also combine the new V860C TTL flashes, but only in remote manual with the current Godox radio system. Thanks. Thanks. I actually did a live shoot with the Kings and of my two receivers first one, then the other failed after about 30 minutes of use. I was able to revive the first one by pulling out the (fresh, tested) batteries and reinstalling them but the second one remained dead. Whether it was the Yongnuo flashes or not I don’t know. Regardless, they failed the test in my setup so I returned them and bought a current set of YN622C units (I understand there’s been a firmware update recently). The next shoot went well, so fingers crossed. If they still give problems on location, I will take a look at the Phottix system. I don’t have an Einstein, but I’m pretty sure you should be fine to fire them via the Kings. If this is just for the Einstein or other manual lights though, I would go with one of the fully manual triggers. As just being a simple fire signal they have better range and reliability etc. Thanks. I just tried again the Pixel King for Sony on my A7. If the camera mode is in Av, the flash always on TTL and can not be set to Manual. The Manual flash can only be set if the camera mode in Manual too. Is it the way it is or else? Sorry I’m not sure about this as I don’t have the Kings for Sony. Hopefully others may be able to confirm this. I doubt Pixel would update this now though considering the King for Sony are now discontinued unfortunately.